Meeting basic physical needs is just a beginning for human well being. Beyond these we have yet another - one that is just as vital to our long-term health and happiness. It is a need that encompasses all the rest; an aspect of human life that is so mysterious it is often disregarded or denied. Though we sometimes call it love, it is in fact more than that. Like air and water, fire and earth, we need spiritual connection; we need to understand where we belong. David Suzuki begins his search for answers in the high Arctic, along the northern tip of Baffin Island, eleven hours by snowmobile from the tiny community of Pond Inlet. Here, traveling on their annual Spring hunt, the Inuit community must band together to survive. These people are intuitively connected to their surroundings, sharing knowledge, food and love. With E.O. Wilson, ethnobotanist Wade Davis, and Harvard psychologist, Sarah Conn. Journey into New Worlds - Suzuki celebrates the birth of a new scientific worldview that is holistic rather reductionist. The Matrix of Life - Suzuki travels the world exploring our intimate relationship with water and air. The Fire of Creation - Suzuki explores the latest scientific findings which amplify the age-old reverence for the sun. "THE SACRED BALANCE is a spiritual, holistic and almost poetic take on the science of the planet...it launch[es] the viewer's mind into a different space." "Suzuki's talent has always been to take broad scientific topics and decipher and deliver them to viewers in plain, accessible terms. He's very good at it...while there's much to digest in this series, his tone is always patient and pragmatic"
"The Sacred Balance is a challenge to all who watch it, a cornucopia of amazing comments and predictions. It's designed to make you think." "Stunning cinematography and state of the art computer graphics"
"An enthralling, beautifully shot series...It's one of the most important and engrossing programs you'll see all year... [it] might very well go down as the crowning achievement in the career of David Suzuki." "A timeless piece, brilliantly conceived and executed, and an example of science and environment exposition at its best." "Strikingly beautiful and sometimes even profound...[it] becomes increasingly affecting as it piles up scientific research with remarkable dexterity." 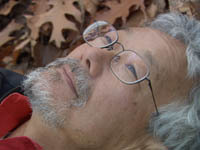 "[A] captivating examination of how the Earth's systems interact and depend on one another...Approaching the subject from a wide variety of cultural and philisophical viewpoints, Suzuki makes the point that we are a vital part of this 'web of life, ' and challenges viewers to feel that connection and then change the way we act towards our planet." "Features stunning visuals and is unique in providing a multicultural perspective and philosophical points of view not usually studied with science."